Hello my dear budding hackers. Everyone that is new to hacking will eventually realize that they need a medium where they can work in and practice. Just like any other profession, you will become a better a better hacker by more and more practice. Virtual machines and a virtual network are the safest and best bet when it comes to setting up a hacking lab. 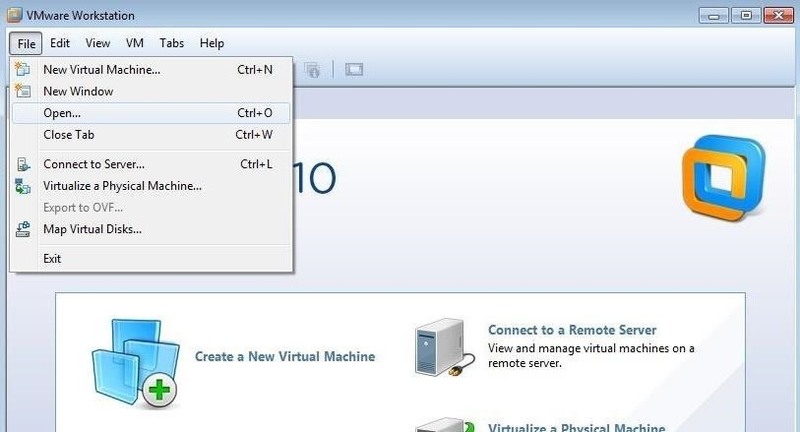 There are many virtualization systems out there, which include Citrix, KVM, Microsoft’s Virtual PC,Oracle’s VirtualBox, and Hyper-V, and VMware’s Workstation, VMware Player and ESXi. For creating a laboratory environment, I strongly recommend VMware’s Workstation or Player. Workstation is commercial product which costs under $200, while the Player is free. You can also get a free 30-day trial of Workstation. Player is very limited and just useful to play VMs , while Workstation on the other side can create and play VMs. Let’s download VMware’s Player or Workstation here. Once you have downloaded and installed your virtualization system, our next step is to download the VMware images of Kali provided by Offensive Security. With these images, you won’t have to create the virtual machine, but simply run it from Workstation or Player—Offensive Security has already created this image for you. 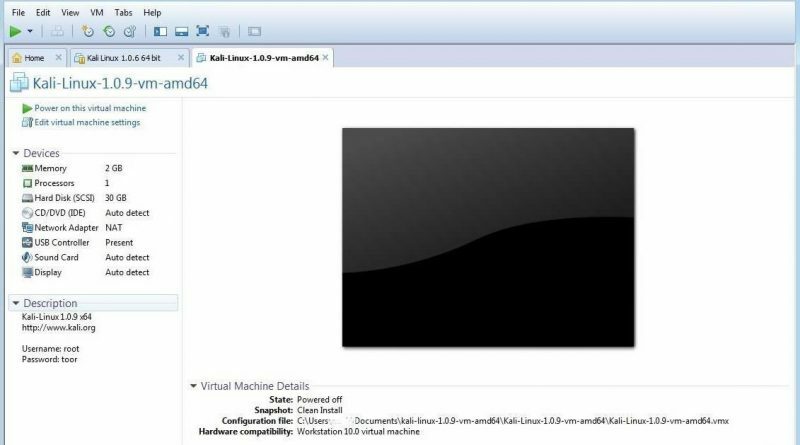 This means that once you have downloaded the VM of Kali, you can then use it in either Workstation or Player. Once you have completed the download, you will need to unzip the files. There are many zip utilities available for free including like example,7-Zip, WinZip, WinArchiver, etc. Download and install one and unzip the files. In the screenshot below. Once all your files are unzipped, our next step is to open this new virtual machine. Make note of the location where you have unzipped those virtual machine image. Then, go to either VMware Workstation or Player and go to File -> Open like in the screenshot below. This will now open a window just like that in the screenshot below. You can see that my Kali image was stored under documents, so I would now browse there and double-click on the folder. 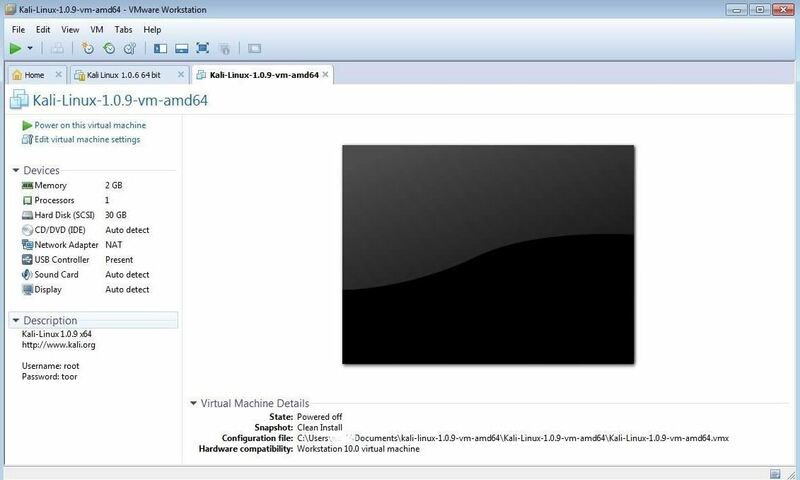 When you do so, VMware will start your virtual machine and greet you with a screen like below. You are done with setting up your virtual lab. Seel free to post any doubts in the comments below.